Real life shooter game. 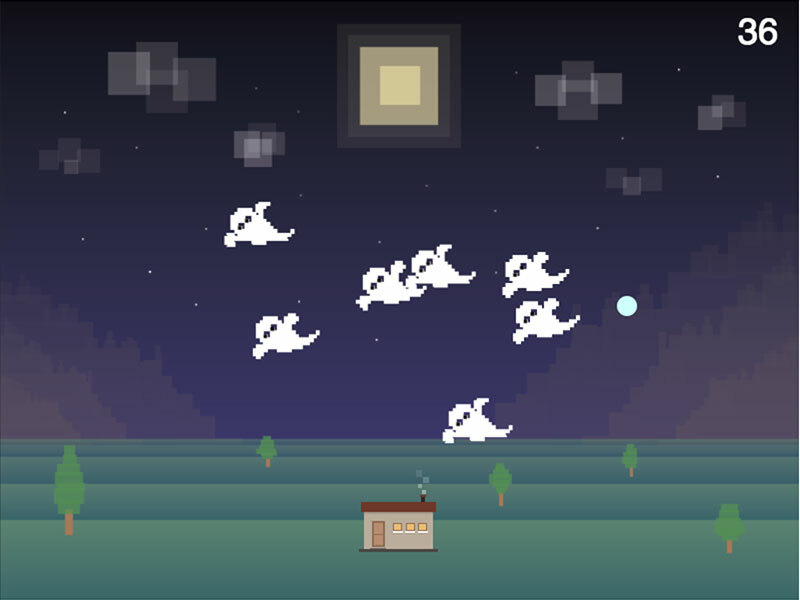 The goal of the game is to shoot as many ghosts before they reach the house. 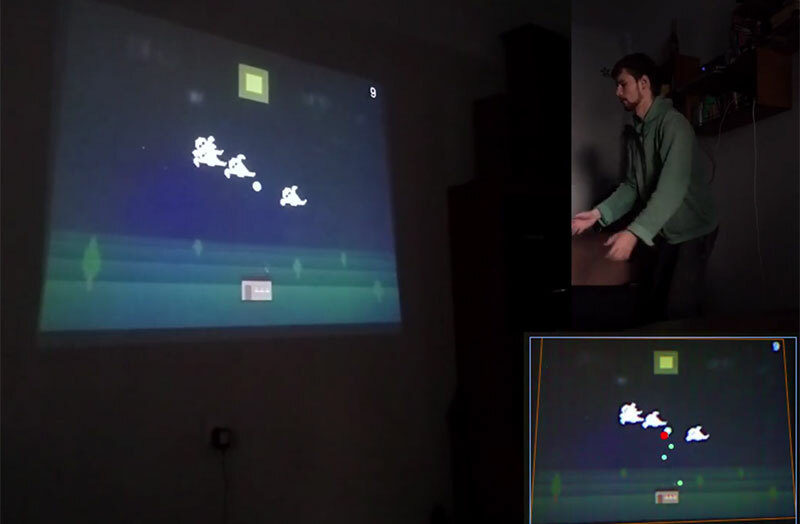 The game scene is projected on the wall, and a ball is used to shoot. The ball is tracked using a kinect. The collision point of the ball with the wall is the shot. The aim of the game is to improve hand-eye coordination and provide a fun way to exercise. Focus on browser (Phaser stops if it is not focused). If game music is playing then everything is ok. Projected points are not perfectly matched with game rectangle. You can see in video (borrom-right corner) that red circle (collision point detected by Kinect) and white circle (point in game) are shifted. A affine transformation should solve this problem much better. 48 hours of hard work.